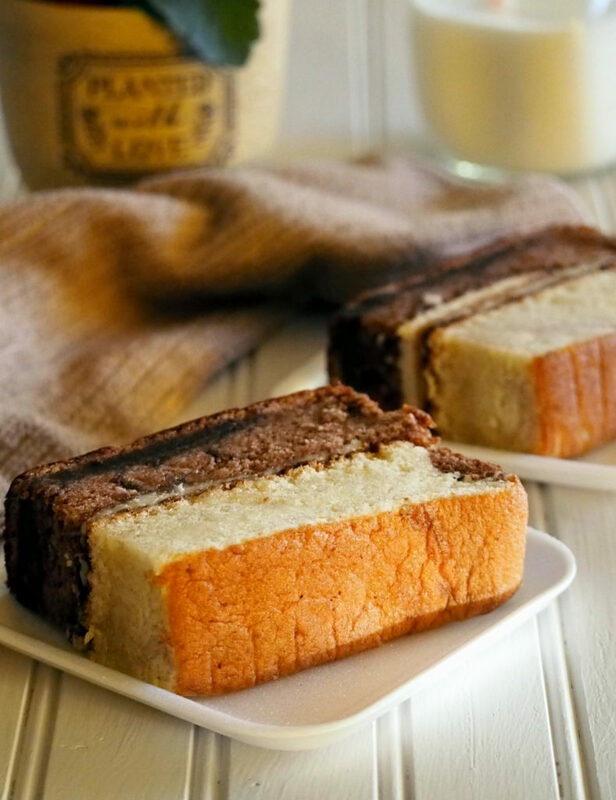 Choco vanilla chiffon cake is a delicious combo of chocolate and vanilla chiffon slices held together by a thin layer of vanilla buttercream. Like most of you, I remember growing as a kid to the signature baked goods of Goldilocks bakeshop. I fondly remember my father bringing home a package of mamon , or a loaf of taisan whenever he comes home from work. Oh didn’t my eyes always glow in delight whenever I see him holding a yellow plastic bag in his hands full of baked goodies! The mocha vanilla chiffon slice. A combination of mocha and vanilla chiffon cake slices that is glued together by vanilla buttercream. Then nostalgia hit. So did the cravings. I wanted to make something like that, I thought to myself. 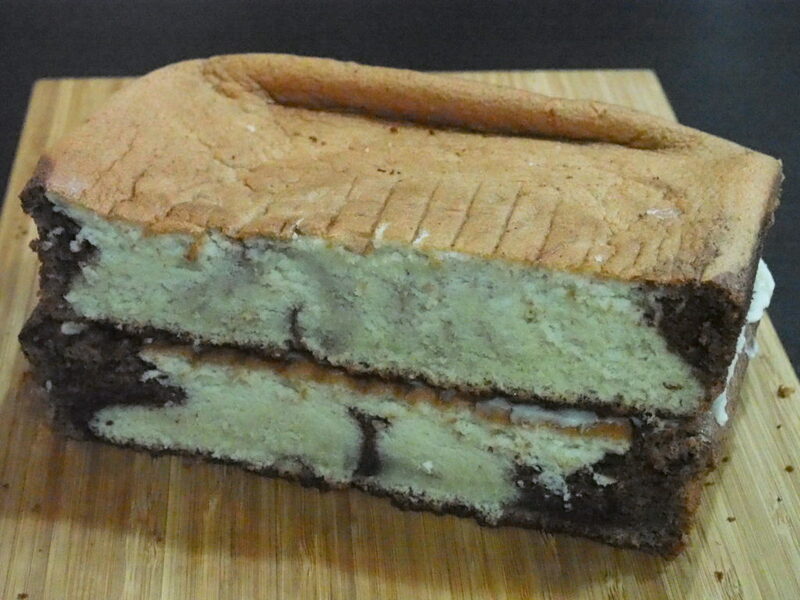 But surely, the beautiful cake slices are probably made by baking two separate chiffon cakes. Two set ups. Two pans. Twice the work and clean up. So immediately I thought I’d just do something similar without having to bake two separate cakes. And this choco vanilla chiffon cakes were conceptualized. 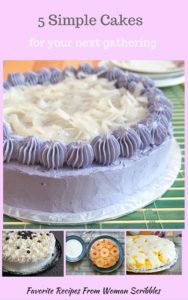 Based on an award winning recipe, this is truly satisfying especially if you want a cake that is not fully frosted with fancy icings like the white chocolate cherry cake. A naked chiffon, so simple and plain yet very enticing and elegant. 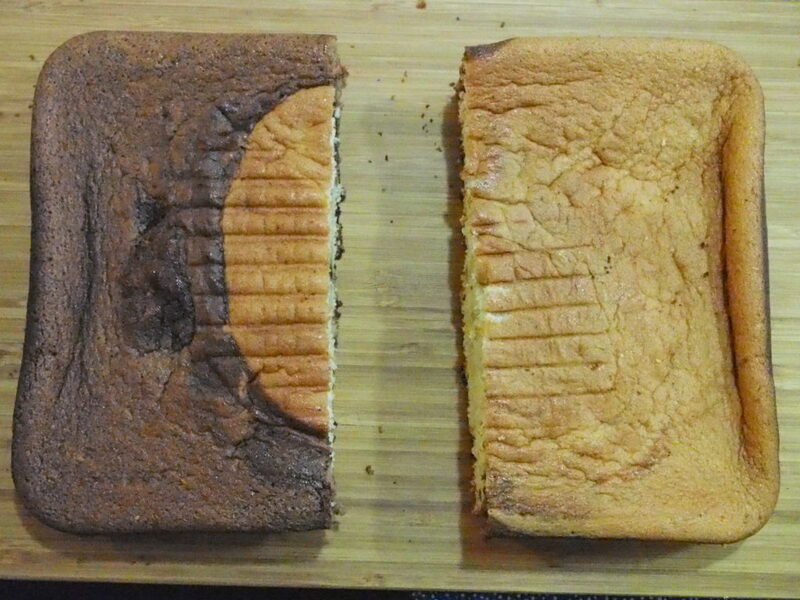 Now, I can’t tell you if it can pass for a copycat to Goldilocks’, because it has been ages since I ate their chiffon cake slice. I don’t know how it compares. But what I can guarantee you is that this Choco vanilla chiffon cake is good. Really good. 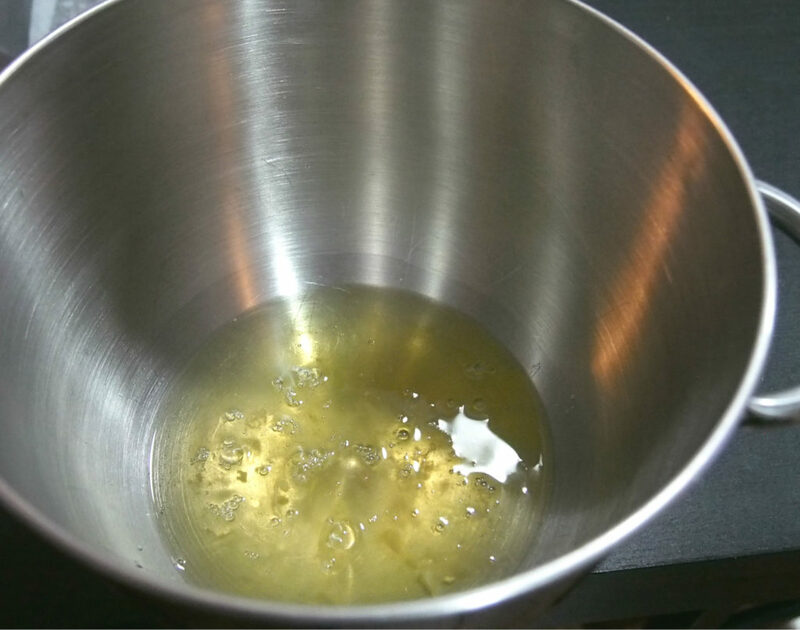 Grease a 9 x 13 baking pan with butter or vegetable shortening. 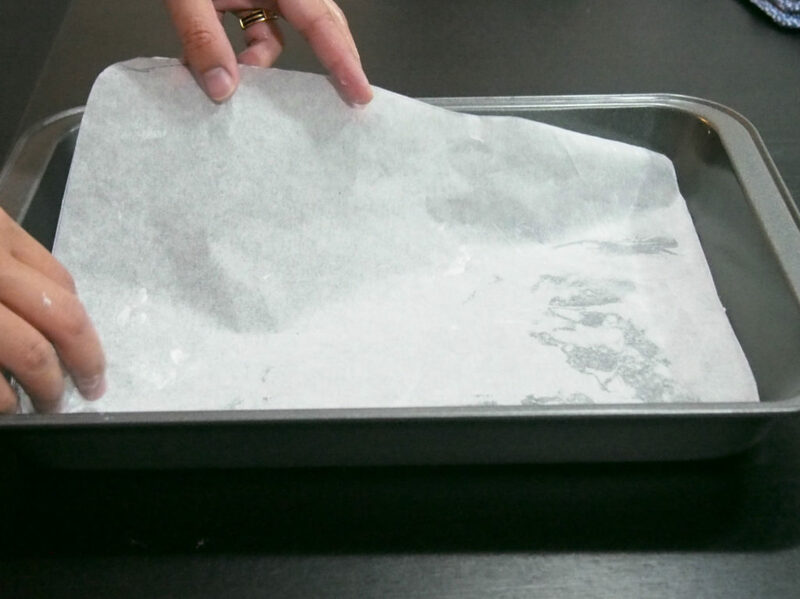 Line the baking pan with parchment paper that has been pre-cut to fit the base of the pan. 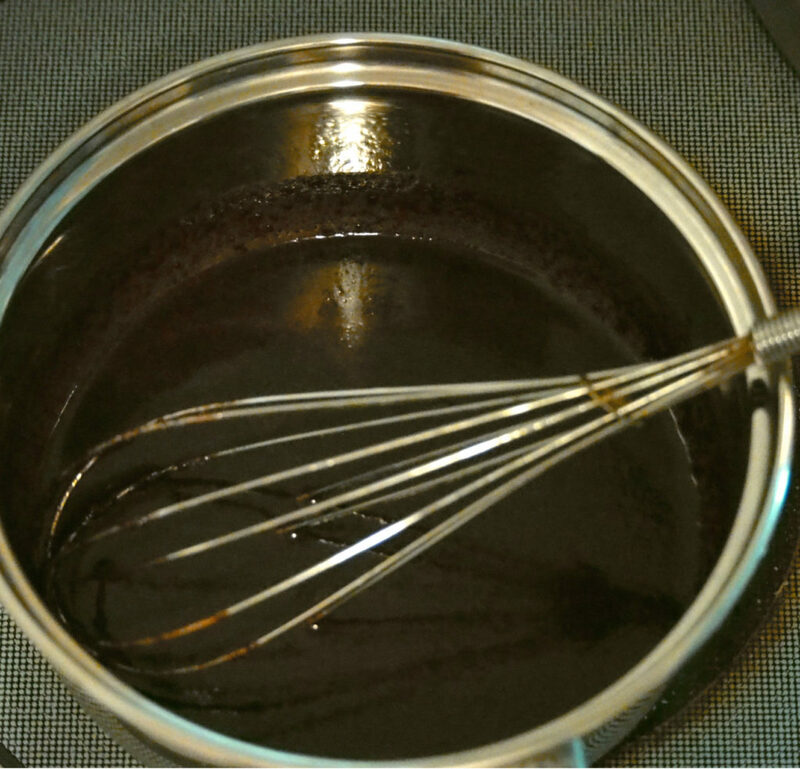 Melt the chocolate together with the hot water and 1/4 cup sugar in a small saucepan. Let this cool and set aside. Preheat oven to 350 F. Combine the dry ingredients in a large bowl. 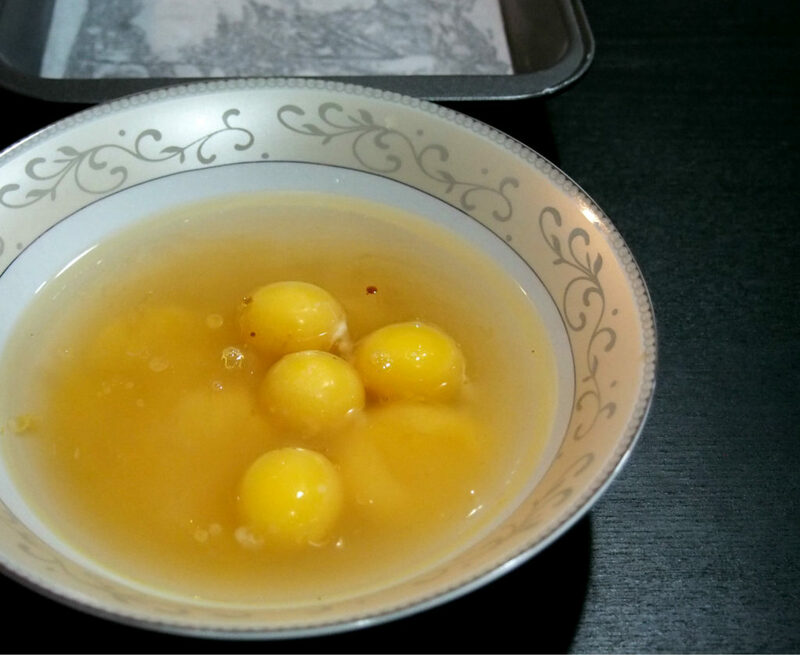 And the wet ingredients in another bowl : yolks, water, vanilla extract and canola oil. 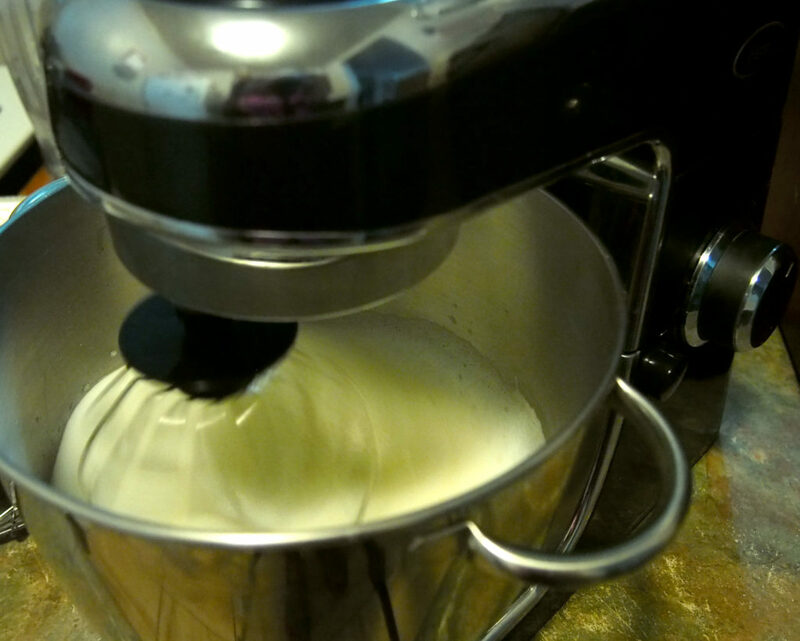 Add the egg whites in the bowl of a stand mixer. and add to the dry ingredients. 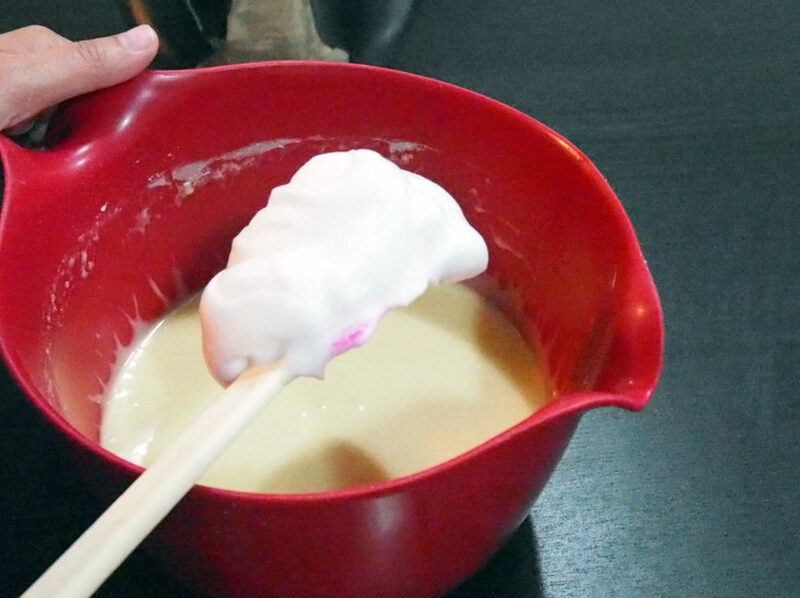 Whisk the mixture until smooth. I used a hand whisk but your best option is to use the hand mixer. Set the mixture aside. Then fold 1/4 of the whites to the yolk mixture and combine until uniform. Fold the rest of the whites gradually into the yolk mixture. And to one half of the batter, gradually add the melted chocolate mixture. We now have two kinds of batter: One is chocolate and the other is the plain. Now pour the chocolate into the baking dish. Our aim is that most of the chocolate batter will be on one side and the plain batter on the other side. 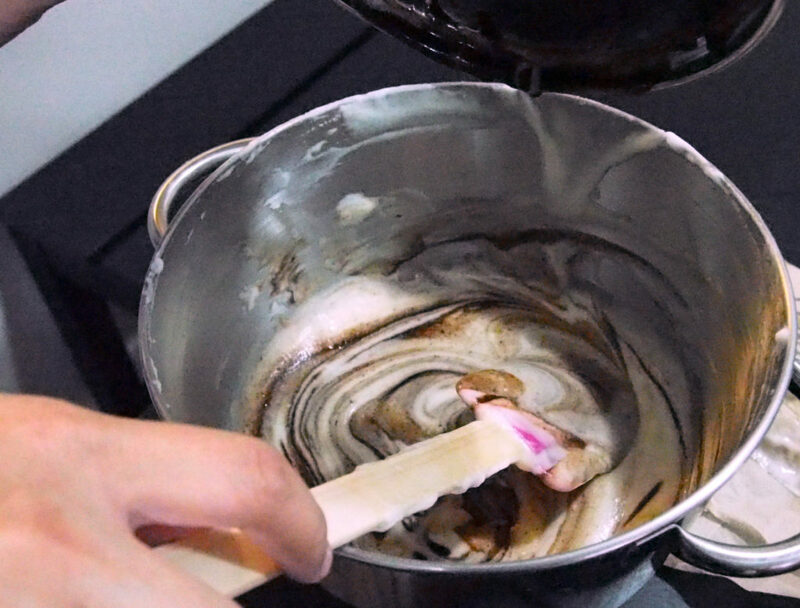 To do this, it helps to slightly tilt the dish while pouring the chocolate batter and try to push the batter to one side using a rubber spatula. 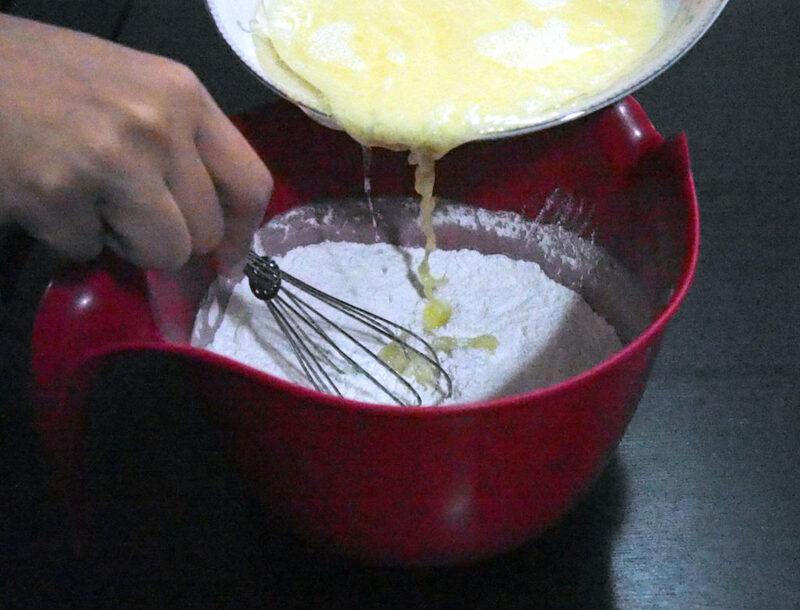 Then, quickly pour the plain batter to the other side. It is important to note that this will not be a perfect half-half scenario. The batters will seep into each other and get mixed especially at the bottom. That is fine. 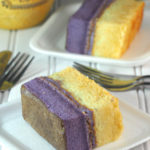 In the end you will still end up with a distinct color separation of the chiffon cake when you slice it. 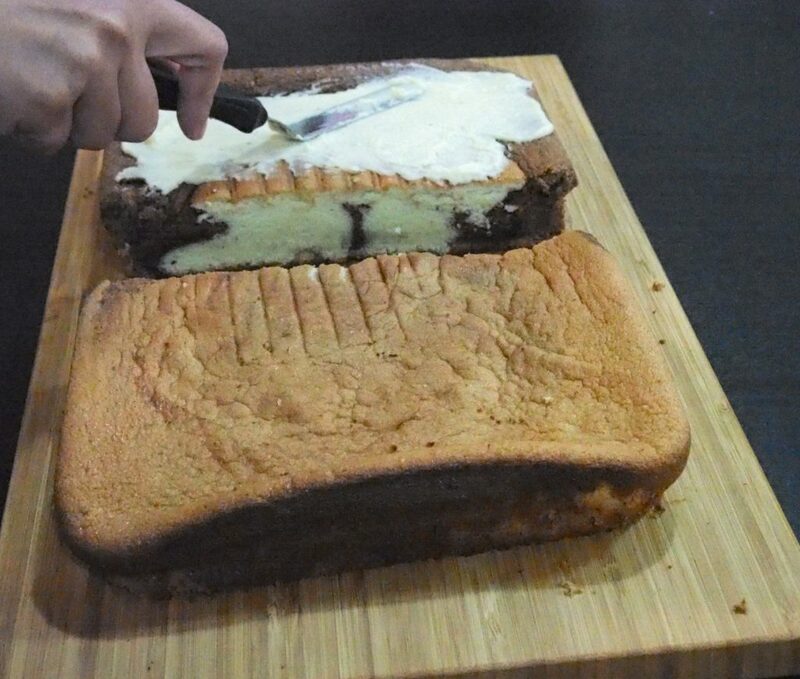 After the cake has cooled, Slice it in half as shown here. then stack them together. 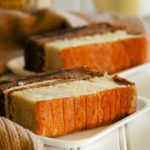 Slice the cakes into serving sizes and layers of vanilla and chocolate chiffon cakes will be revealed. 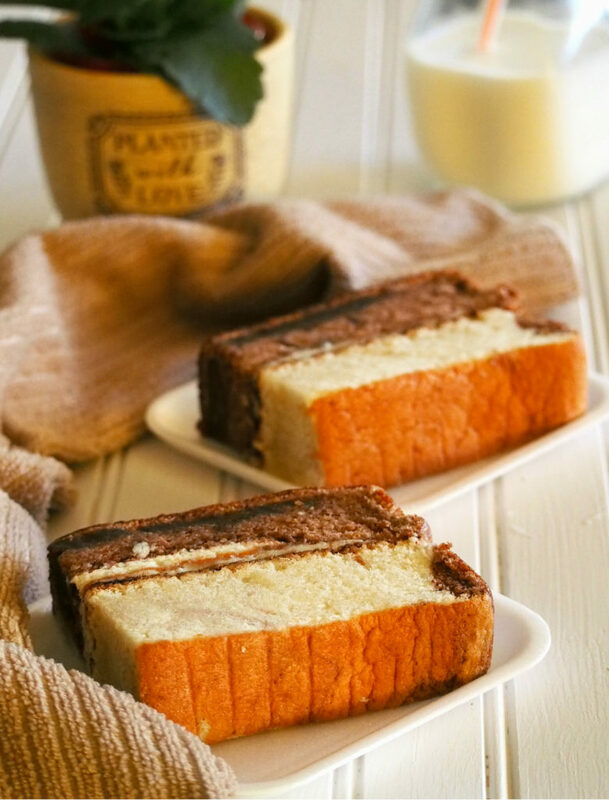 Choco vanilla chiffon cake is a delicious combo of chocolate and vanilla chiffon slices, held together by a thin layer of vanilla buttercream. The eggs should be in room temperature for about 30 minutes.Melt unsweetened chocolate in a small saucepan over low heat together with ¼ cup sugar and hot water; Mix well and let cool. 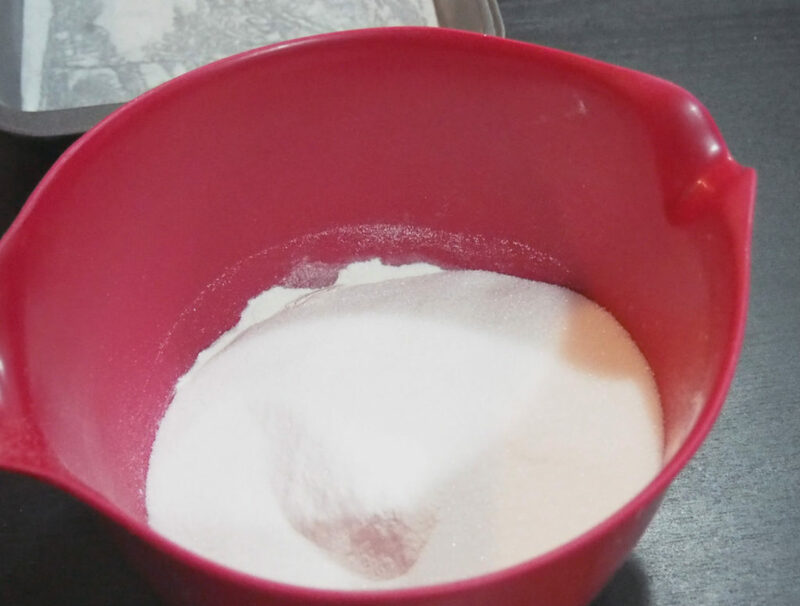 Preheat oven to 325 F. In a large bowl, combine the flour, baking powder, salt, baking soda and 1 and ½ cups of sugar. 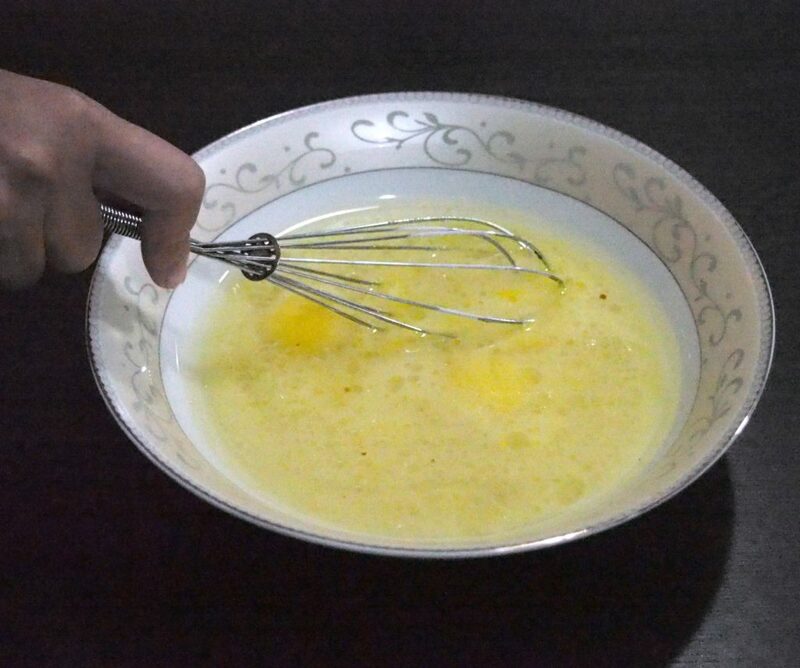 Whisk together the egg yolks, water, oil and vanilla in another bowl. Add yolk mixture to flour mixture and beat until moistened. Beat for 3 minutes on medium speed; Set aside. 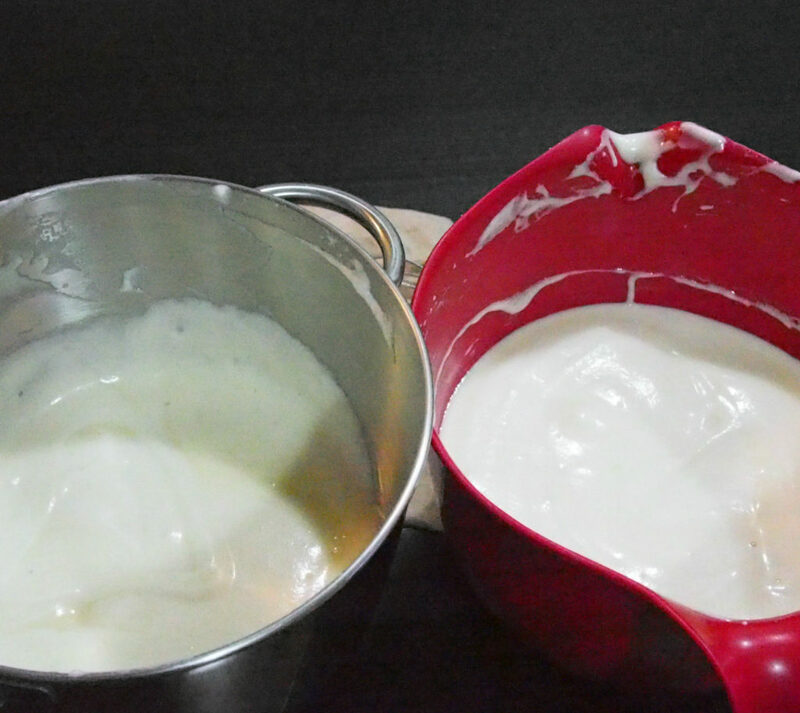 In a bowl of stand mixer with clean beaters, beat egg whites and cream of tartar on high speed until stiff peaks form. 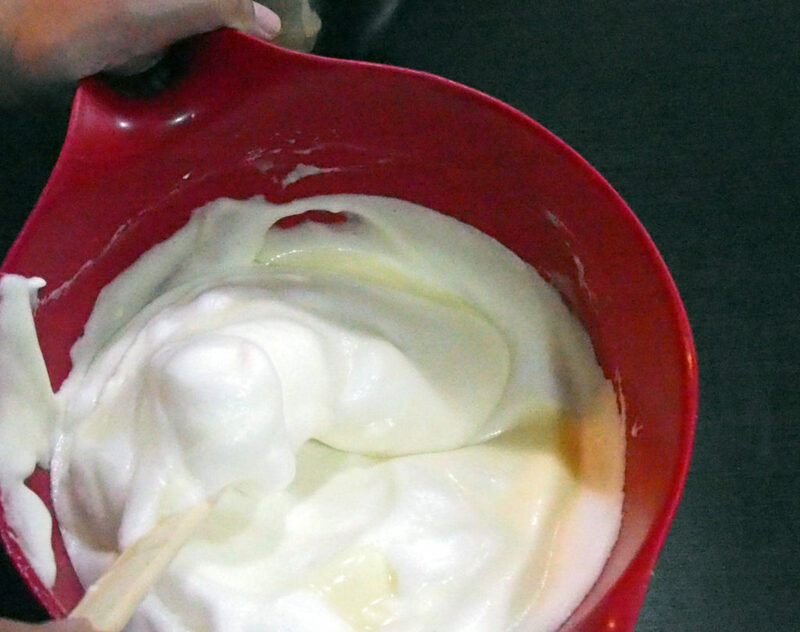 Fold a fourth of egg whites into the batter, then fold in remaining whites. 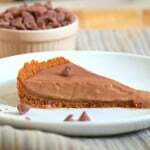 Divide batter in half and gradually fold the melted chocolate mixture into one half of the batter. Bake at 325 F for 36-40 minutes. The top should spring back to the touch and a toothpick inserted into the center should come out clean. Let cake cool for ten minutes; Turn cake over a wire rack to cool completely. Cut cake in half equally, spread buttercream on top of one of the halves and lay the second half on top. Slice cakes to serving sizes. Cake slices are best stored wrapped tightly in plastic wrap. They don't need to be refrigerated. For the buttercream: Use a wire whisk to beat the butter until it is fluffy. Add in the powdered sugar, milk and vanilla extract. 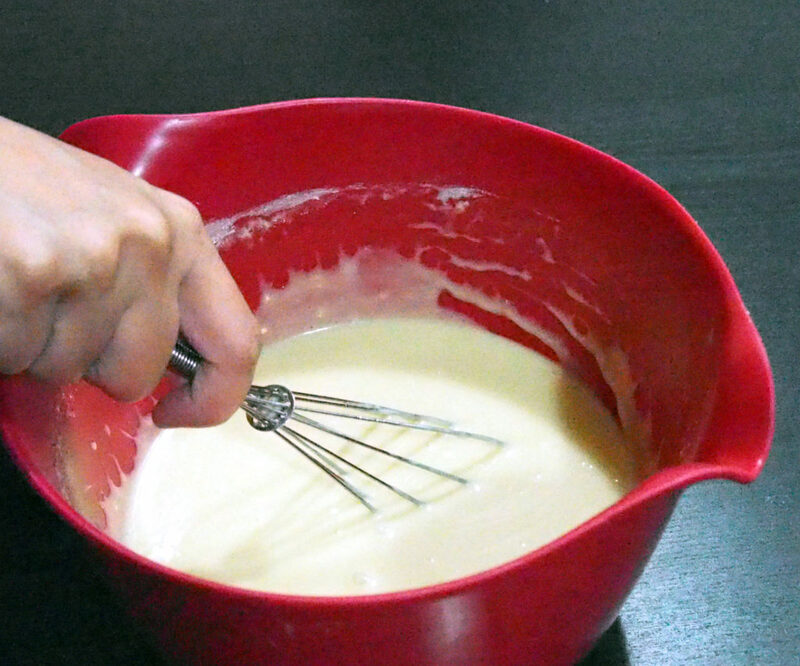 Continue to whisk until smooth. 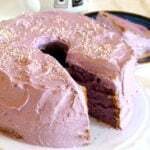 Recipe for the chiffon cake based here. Thank you for being here today! 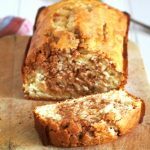 If you would like to receive recipes like this in your inbox, you can subscribe here and receive our free ebook. Thank you, Kaye! God bless you too and thank you so much for dropping by! 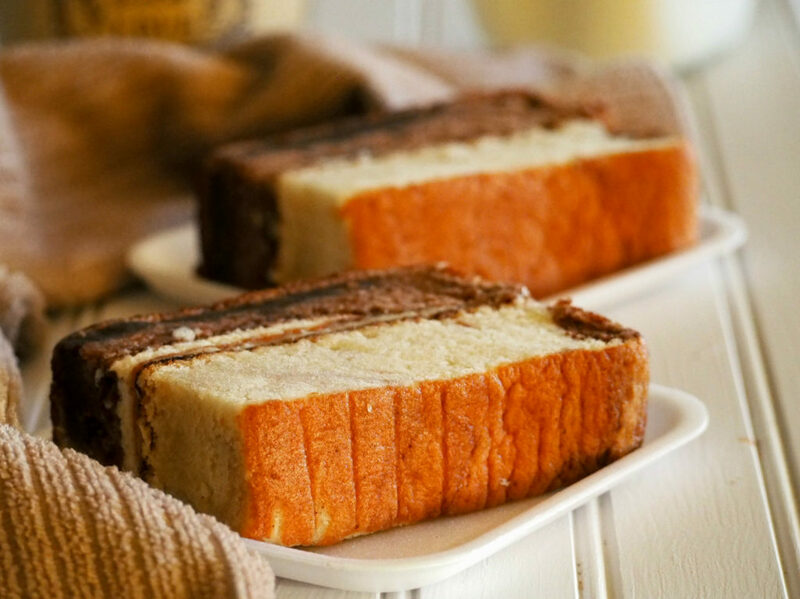 Marble chiffon cakes were my favorite growing up and always brought a piece or two to school. Thanks for the recipe, will be trying it soon! You are welcome, Lalaine! I hope you love and enjoy these! I enjoyed these so much. Thanks! Hi, i tried this recipe last night. Why my egg batter once mixed with dry ingredients become vest thick dense batter? Is that the way it should be? The cake came out okay-ish. Not fluffy, a bit dense almost like pound cake. Hello Jan! Thank you for reaching out. This cake does not have the airy crumbs. Instead, it is a bit moist like a butter cake. I have not experienced the egg batter being too thick, so I cannot tell exactly what might have caused it. It is also important that they are at room temperature.